Canmake's Powder Cheek is a grapefruit colour - orange yet pink, but more pink. Candydoll's carrot orange is a super intense orange, so go easy with the brush. Gives an awesome tanned look! 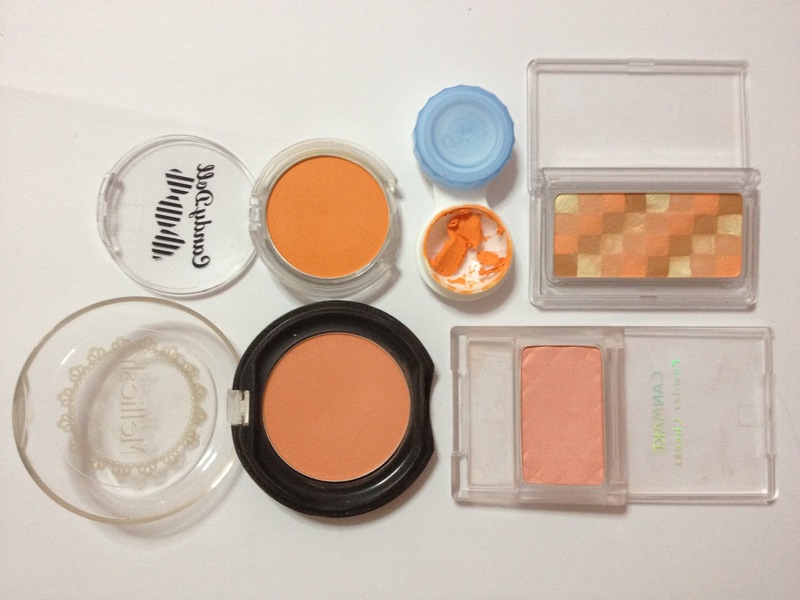 MUJI's one is really shimmery, but is a perfect light orange with a yellow undertone. Matches my skin tone too well, better if it has lesser shimmer.